The seeing was bad, so results form other sides should be better. 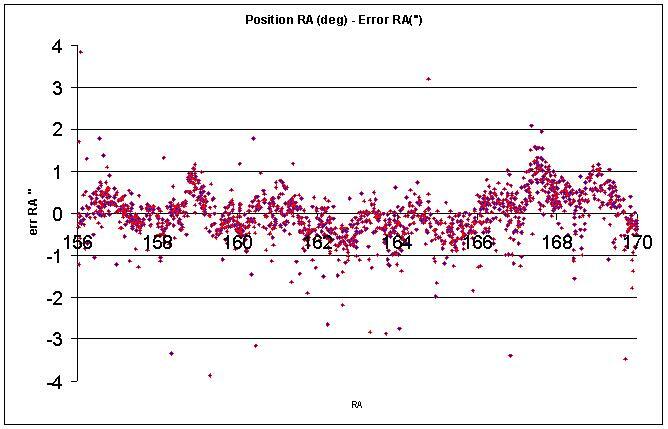 As you can see, the errors in RA and DEC are changing with the position in RA (and so also with the midexposure time) . 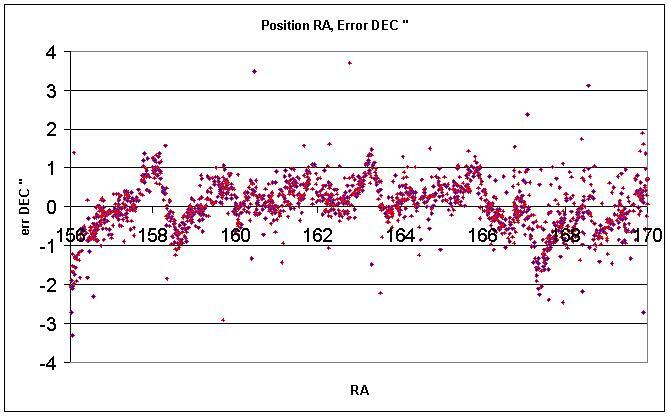 Between the positions in DEC and errors in RA or DEC I found no relations. To get the exact position of an object, it may be a good idea to slice the image in smaller parts.